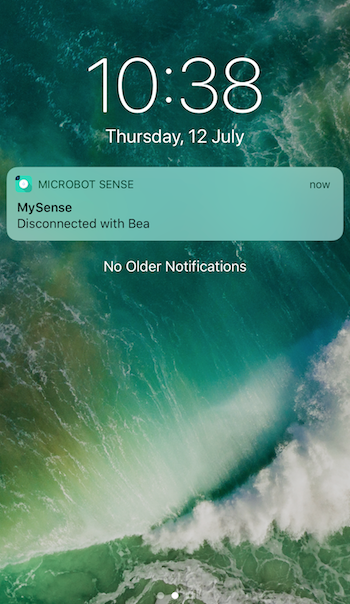 When MicroBot Alert loses the connection with your device, you receive a notification on your smartphone or tablet showing it is disconnected. MicroBot Alert connects to your device via Bluetooth. Therefore, your device must be within the Bluetooth range in order to allow MicroBot Alert to connect. MicroBot Alert may be running out of a battery. Please recharge it and try again. If MicroBot Alert keeps disconnecting from MicroBot Hub while they are within the Bluetooth range, it is possible that the Hub's antenna is defective. In this case, please contact our Support team.